Corporate law firms specialize in corporate law and serve as legal representatives for corporations and large businesses. These firms practice in a wide variety of legal fields, including contract law, tax law, real estate, mergers and acquisitions, and bankruptcy. Corporate attorneys typically spend more time negotiating contracts with private parties than litigating in court, but businesses can work with these law firms when any legal matters arise. Larger businesses may employ in-house attorneys and only require the services of corporate law firms in special circumstances. A number of corporate law firms offer intellectual property litigation, which can aid clients in defending matters such as copyright or patent infringement. 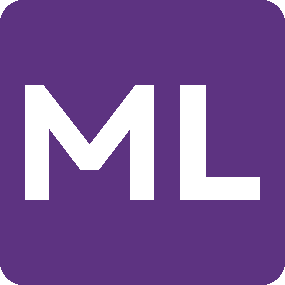 Corporate law firms use a variety of legal software products to manage their practice, conduct research, and track client information. 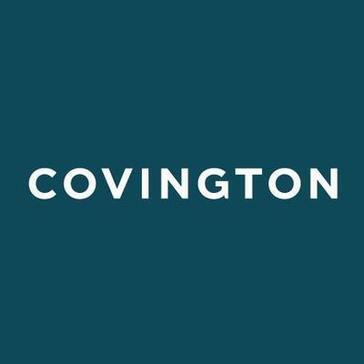 Covington & Burling LLP is an international law firm founded in 1919 with more than 850 lawyers with ten offices worldwide. 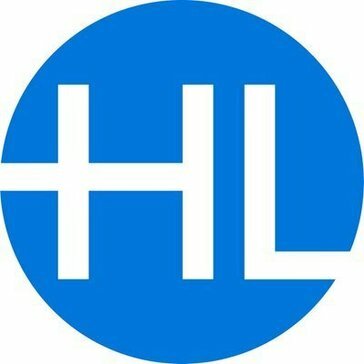 Hahn Loeser practices the art of creative, sophisticated legal counsel, providing the full spectrum of legal services in one disciplined firm. The people are exceptional. Hogan Lovells is a global legal practice that helps corporations, financial institutions, and governments across the spectrum of their business and legal issues globally and locally. Celebrating 125 years of service, King & Spalding is one of the Global 50 law firms and has more than 800 lawyers. K&L Gates LLP delivers legal services on an integrated and global basis, with approximately 2,000 lawyers in offices across five continents. Positioned at strategic intersections of the global economy, K&L Gates has one of the largest contingents of lawyers and offices across the United States of any law firm and a strong local presence in key capital cities and world commercial and financial centers. Polsinelli is an Am Law 100 firm with approximately 800 attorneys in 20 offices, serving corporations, institutions, and entrepreneurs nationally. Ranked #17 for Client Service Excellence among 650 U.S. law firms, Polsinelli has risen more than 50 spots over the past five years in the Am Law 100 annual law firm ranking. Polsinelli attorneys provide practical legal counsel infused with business insight, and focus on health care, financial services, real estate, intellectual property, mid-market corporate, labor and employment, and business litigation. Squire Patton Boggs is a full service global law firm providing insight at the point where law, business and government meet, giving you a voice, supporting your ambitions and achieving successful outcomes. We combine sound legal counsel with a deep knowledge of our clients businesses to resolve their legal challenges. Abelman Frayne & Schwab has grown and established itself as a leading law firm specializing in the protection and enforcement of all forms of intellectual property in the United States and throughout the world. Adams and Reese is a multidisciplinary law firm with nearly 300 attorneys and advisors strategically located in 16 offices across 15 markets throughout the southern United States and Washington, D.C. providing legal services on a regional, national and international scale. Akerman LLP is a leading transactions and trial law firm known for its core strengths in middle market M&A, within the financial services and real estate industries, and for a diverse Latin America practice. With more than 650 lawyers and government affairs professionals and a network of 24 offices, it is ranked among the top 100 law firms in the United States by The American Lawyer (2016) and among the top 60 law firms for diversity in The American Lawyer's Diversity Scorecard (2016). Akin Gump Strauss Hauer & Feld LLP is one of the world's largest law firms. A frequent recipient of industry recognition for its strength in litigation and high-stakes appellate work, its leadership in groundbreaking transactions and its depth in public policy, Akin Gump provides a comprehensive suite of services for global companies and local individuals. At Allen Matkins, we help clients capitalize on opportunity. Whether this opportunity comes from overcoming challenges or seeing and taking advantage of new technologies, business models, or global markets, we partner with clients to accomplish goals and drive success. From our base in California, we also serve the needs of our clients, whose interests are national and increasingly global. 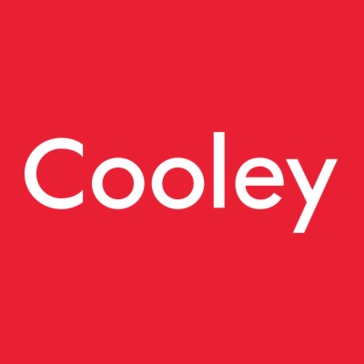 Global legal perspectives from Allen & Overy, an international law firm. Alston & Bird is an AmLaw 50 firm. Since 1902, Andrews Kurth Kenyon has built its practice on the belief that straight talk is good business. Real answers, clear vision and mutual respect define the firm's relationships with clients, colleagues, communities and employees. With nearly 430 attorneys and 11 locations worldwide, Andrews Kurth Kenyon represents a wide array of clients in multiple industries. Armstrong Teasdale, one of the nation's largest 200 law firms, provides cost-effective and collaborative partnerships with clients around the globe. We help clients navigate laws and regulations and successfully complete transactions that fuel their strategic growth. Our lawyers are also proven litigators with many high-stakes defense verdicts under their belts as well as settlements favorable to clients. Arnold Bloch Leibler is an Australian commercial law firm. Arnold & Porter isan AM Law 100 firm with more than 700 lawyers in nine offices across the US and Europe. At Ater Wynne we do more than give legal advice. We understand our clients businesses, industries and goals so we address their problems from both the inside-out and the outside-in. We focus on possibilities, not limitations; and most important, we earn our clients trust. Avila Rodriguez Hernandez Mena & Ferri LLP (ARHMF) is a law firm representing businesses and investors across Banking & Finance, Corporate/Mergers & Acquisitions, Litigation & Arbitration, Immigration, Real Estate, and Tax & Estates. ARHMF is one of the largest certified minority-owned law firms in Florida, is a past recipient of the Greater Miami Chamber of Commerce's Top Minority-Owned Business Award and was named on Hispanic Business' Top 500 Hispanic Businesses in the country. Baker Botts provides a depth of understanding of the law that helps us deliver better, and more innovative solutions. 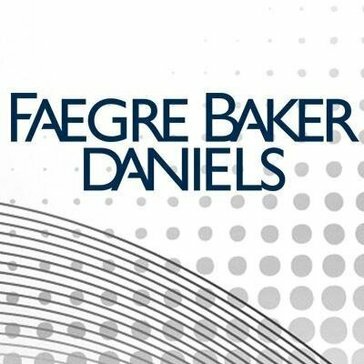 As the 60th largest law firm in the U.S., Baker Donelson gives clients access to a team of more than 800 attorneys and public policy advisors representing more than 30 practice areas, all seamlessly connected across 24 offices to serve virtually any legal need. Clients receive informed guidance from experienced, multi-disciplined industry and client service teams. Our diversity and women's initiatives ensure diversity in our people, perspectives and experiences. BakerHostetler, one of the nation's largest law firms, represents clients around the globe. With offices coast to coast, our more than 940 lawyers litigate cases and resolve disputes that potentially threaten clients' competitiveness, navigate the laws and regulations that shape the global economy, and help clients develop and close deals that fuel their strategic growth. The second-largest international law firm in the world by headcount with 12,100 employees. Balch & Bingham LLP is a corporate law firm recognized nationally for its deep experience and counsel in regulated industries including energy, financial services and healthcare, and its highly regarded practices in business, environmental, government relations, labor and employment and litigation. The firm includes more than 250 attorneys and lobbyists in offices across the Southeast and Washington, D.C., who are known for a collaborative, multidisciplinary approach. Ballard Spahr LLP, an AM Law 100 law firm with more than 500 lawyers in 15 offices across the United States. We help clients achieve success as they define it, respecting and anticipating their needs. Our clients range from large public companies and privately held corporations to government agencies and nonprofit organizations. Barnes & Thornburg LLP is a national, full-service law firm representing the interests of Fortune 500 corporations to entrepreneurial growth companies. We represent many of the world's largest companies in U.S. legal matters and assist a broad array of U.S. companies operating abroad to achieve their international business objectives. As a member of TerraLex, we are part of a selective, international network of more than 155 independent law firms located in nearly 100 countries. Bass, Berry & Sims is a Tennessee-based law firm with more than 270 attorneys representing and advising Fortune 500 companies as well as regional and local businesses, including acting as the principle corporate counsel for approximately 30 public companies. Our lawyers have been involved in some of the largest and most important business and litigation matters in the country. Benesch is a business law firm that serves national and international clients including public and private, middle market and emerging companies as well as private equity funds, entrepreneurs, not-for-profit organizations, trusts and estates. We develop client-focused teams to ensure first-class legal service, provide diverse and knowledgeable perspectives on business issues and better apply the firm's collective strength and experience to our clients advantage. Berger Singerman, with 80 attorneys, is Florida's business law firm. We are a talented team of forward-thinking attorneys who are passionate, creative problem-solvers who leverage a collaborative approach to give clients a competitive edge. Our attorneys are widely respected and recognized for their exceptional work both in the courtroom and the boardroom. Bilzin Sumberg was founded by a group of lawyers from New York who set out to establish a law firm that viewed legal excellence and unparalleled service delivery as equal imperatives. Success would take the form of enduring client relationships. That degree of client loyalty would only reward a firm focused on delivering a universally satisfying experience to every client. Blakely Sokoloff Taylor & Zafman specializes in patent and trademark infringement. Blake, Cassels & Graydon is a Canadian-based international business law firm. Bodman PLC is one of Michigans leading business law firms in the Midwest with 150 lawyers. We have a diverse client base that includes individuals and businesses in a variety of industries, with an emphasis on financial services, automotive, real estate and construction, technology, manufacturing, health care, and other sectors. We are a firm of internationally recognized trial lawyers, crisis managers, and strategic advisors known for our creative, aggressive, and efficient pursuit of success for our clients. For almost two decades, Boies Schiller Flexner has established a record of taking on and winning complex, groundbreaking, and cross-border matters in diverse circumstances and industries for many of the world's most sophisticated companies. Hi there! Can I help you find the best Corporate Law Firms solutions?